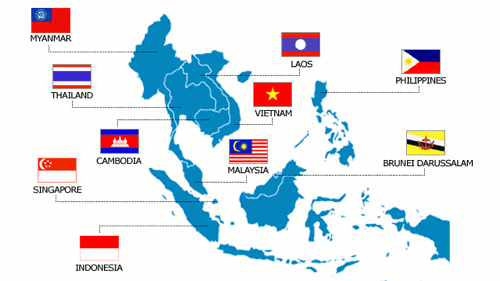 I remember back when MediaWatch here in Australia busted several television news programmes for putting Singapore at the end of Sumatra on their maps instead of on the end of Peninsula Malaysia. An honest mistake I guess, the entire island of Singapore is smaller than metro Adelaide but I worred that nobody noticed or picked it up! ABC News relocates Singapore to a spot between Java and Sumatra, in the heart of Indonesia. And nobody spotted it. 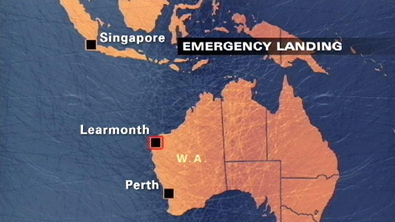 The dodgy map was used in ABC bulletins all over the country for the next 24 hours. Anyway it seems perhaps news programmes can be forgiven for thinking Singapore is somewhere else because even some of ASEAN's official documentation puts Singapore on an island in Indonesia, and as with the original ABC Australia story above, other news agencies have picked up the map too without checking it. Aiyo.